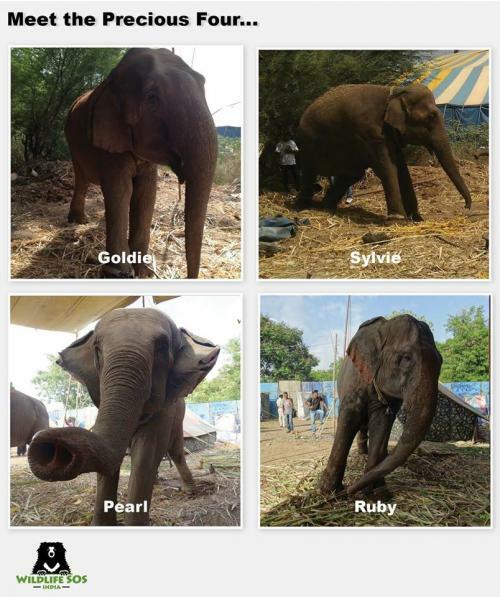 In a shocking order by a Pune court, four elephants that had been rescued from a city circus by the authorities and animal rights bodies, have been ordered to be sent back to the circus, a press release by the animal non-profit taking care of the animals said. The order was based on a loophole created by an inadvertent procedural flaw in the confiscation process by the enforcement authorities. 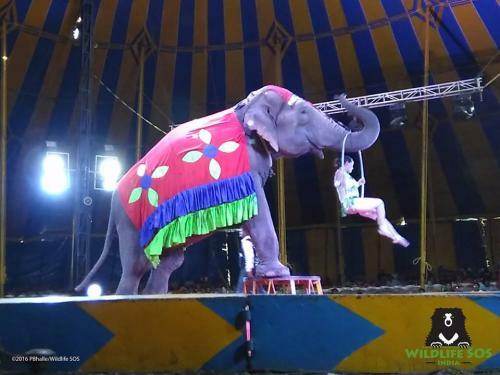 The four adult cow elephants (aged 25, 35, 41, and 52) have been forced to perform painful and unnatural tricks in the Rambo Circus for decades. During evaluations of the circus, the Animal Welfare Board of India (AWBI) and the Central Zoo Authority (CZA), both autonomous bodies of the Government of India, discovered severe violations of the law, including illegal infliction of cruelty upon the elephants. As a result, the AWBI cancelled the circus’s permission to performance, and the CZA cancelled its recognition of the circus. 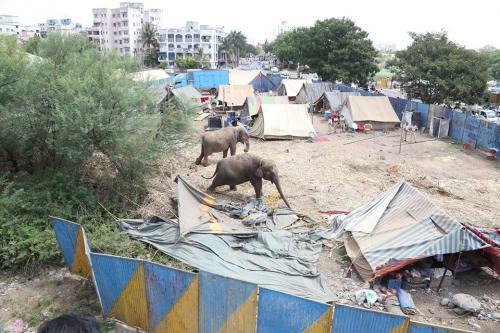 The Central Zoo Authority then issued directions for the elephants to be confiscated and sent for medical treatment and rehabilitation to animal rescue organization, Wildlife SOS, while the Animal Welfare Board of India also issued directions to seize the animals from the circus. In a joint operation, the District Collector of Pune, along with local police and officers of the AWBI carried out the confiscation in May and handed over all four elephants to Wildlife SOS for long-term care. Dogs and horses involved in the circus were sent to other organizations like People For Animals Pune, ResQ, and Animal Rahat. While the neglected elephants were being given urgently needed medical treatment, Rambo Circus challenged the rescue of the elephants in court, seeking custody of the elephants and other animals. The authorities and animal rights bodies provided the court with detailed health reports on all of the elephants that explained in great detail the amount of brutality and suffering they had undergone, as well as injuries to their legs, rotting footpads, overgrown toenails, severe debilitation, wounds on their mouths, and swelling from circus beatings. Statements submitted to the court also highlighted and confirmed that the elephants were chained in their own dung and urine for months. Finally, the court was made aware that the circus had been forcing the elephants to perform illegally, and had been violating several guidelines and orders of the authorities. However, in an astonishing decision, the court has now issued an order that all four elephants rescued from Rambo Circus be returned to the circus immediately. The foundation for the court decision rests on procedural flaws committed by the enforcement authorities during confiscation of the elephants. Wildlife SOS, in its press release, said that the court’s decision did not even consider the blind elephant Goldie and her abscesses, nor the behavior of all four elephants, which was typical of elephants forced to perform in a circus and which indicated years of extensive mental and physical trauma and torture. The court order also did not consider the spiked chains on their legs, their rotting footpads, their overgrown toenails, and their many wounds. So true! Why have the courts of our country suddenly turned so inhuman? Seems like the circus has managed to find alternatives to justice. Animal Welfare is limited to the whims & fancies of individual judges. Some powerful authority like Environment ministry must intervene here & secure the release of the elephants from that circus.